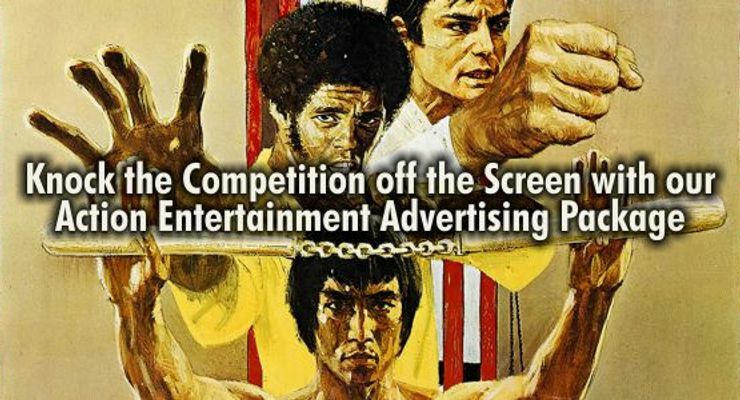 Action Entertainment Advertising with Martial Arts Enterprises is more than banner ads. Our Action Entertainment Advertising Package offers articles, your photos and videos, along with banner ads on our many martial arts and action related websites. 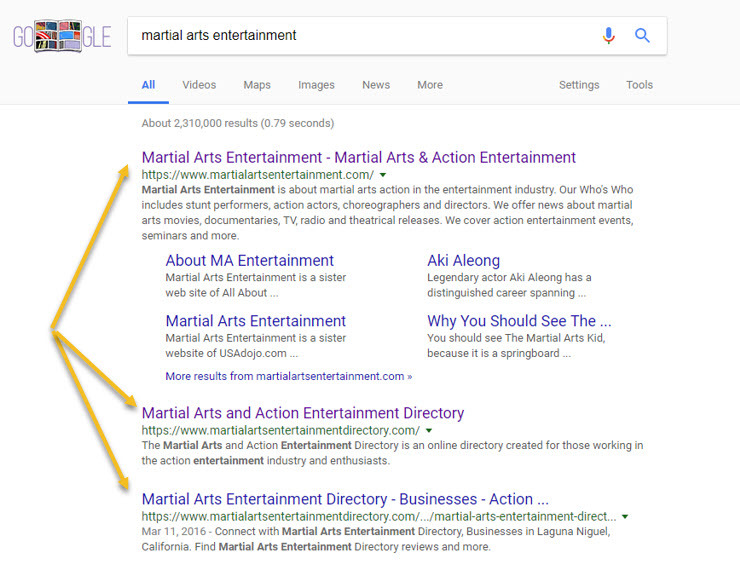 You can also list your martial arts action and entertainment related businesses, bios and more on the Martial Arts & Action Entertainment Directory (BreakIntoAction.com) our online web directory created for those working in the action entertainment industry. We also offer listings for martial arts schools and training facilities on the Martial Arts Schools and Businesses Directory (FindADojo.com) website. We’re Number One, Two and Three on Google. Please review the websites to see which banners are being used where on each website. Article can be posted on different websites which cover a wide range of content. We have a 100,000+ opt-in email list exclusively made up of martial arts instructors, students and lovers of the arts. The Martial Arts & Action Entertainment Directory is an online directory for action actors, stunt performers, directors, writers, crew or anyone working in the action entertainment industry. You can list action entertainment related biographies, academies, businesses, organizations and job opportunities and events. This directory was created for anyone and everyone who is working in or just enthusiastic about the action entertainment industry.